Purposely breaking down tissue to build strength. When an athlete trains and competes, they push themselves to extremes. They need massive numbers of new cells every time they push themselves beyond current endurance levels. They purposely STRESS their muscles at the cellular level to build strength, endurance and muscle mass. They need to train their core right down to the cellular level. Every part of their bodies must withstand and endure more and more extreme stress, both physical and psychological, while achieving optimal performance. Whether muscle builder, power lifter or marathon runner, they are always pushing to increase their capacity, decrease their times or refine their performance in some way. This means they are tearing down muscles, causing soreness. The old adage NO PAIN NO GAIN is the motto they live by and that pain is caused by destruction and that destruction needs to be repaired in massive ways. stemFit Active™ is designed to Increase Stem Cell Production and provide those specific signalling proteins that instruct stem cells to become a part of the rebuilding right where the damage occurs. Stress is the root cause of most poor health. Whether you are into hard-core body building or just an athletic person with an overly aggressive trainer, stemFit Active™ will help mitigate that stress and get your body and mind back in balance. Stress causes the body’s Adrenal glands to release Cortisol, the so-called “Fight-or-Flight” syndrome which enables Survival in Life-Threatening situations. The body does not know that the stress the athlete is putting on their system purposely is not life-threatening and Cortisol release is near constant when working out. This process in turn puts undue stress on the Adrenal Glands which can lead to Adrenal failure if not checked. stemFit Active™ ingredients are clinically proven to reduce cortisol levels, helping to balance to your system, even when creating stress on purpose. 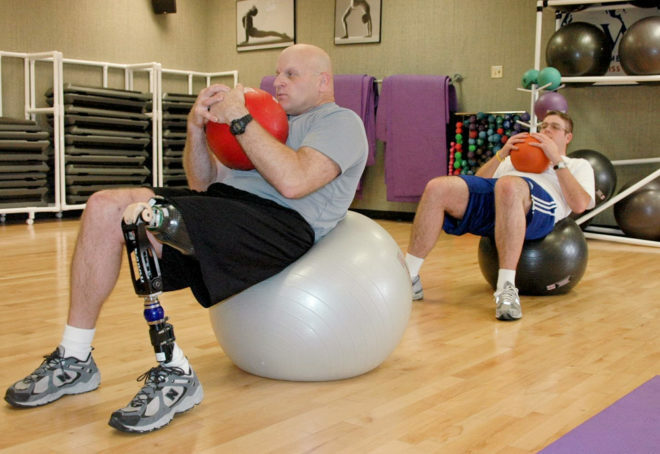 stemFit Active™ is easily recognized and accepted by the body. Feeding your body what it recognizes as Usable Food is what makes stemFit Active™ work so well. The ingredients in stemFit Active™ are whole, un-denatured nutrient-dense foods derived from nature that are all organic or wildcrafted, all great ingredients fundamental for creating ideal biochemistry for the life of the cell. Every cell in our bodies is like a mini person. It functions with its own digestive system, circulatory system, immune system and disposal system. There is also an assembly line within every cell that directs all the key elements needed to make enzymes, hormones, neurotransmitters, and even new cells. Within the complexity of the systems, there are pathways that are compromised with aging and stress. This is when it becomes incumbent to find specific nutrients or foods from Nature to reestablish those pathways for repair of the synchronized orchestration of the trillions of metabolic functions happening every second. Imagine a new form of nutrition that deals with the high stress demands of an athlete. Nutrients that could make each of the athlete’s regulatory systems and cellular functions more efficient. The metabolic pathways more effective. stemFit Active™ is that formula, which acts as an architect to provide a sequenced combination of nutrition to orchestrate the body’s biochemistry specific to maintaining health, preventing disease, and restoring vitality right down to the cell and its genetic expression. The biological sugars configure themselves to function like antennae or receptors for the proteins to be able to link and communicate instructions to other cells. The signaling between the receptors initiates the behavior. If there is a defective antenna or malformed protein sequencing, then there’s no communication and subsequently no actions can be taken or behavioral responses carried out. Over time, this all can lead to a loss of function and a disruption in healthy cell metabolism.